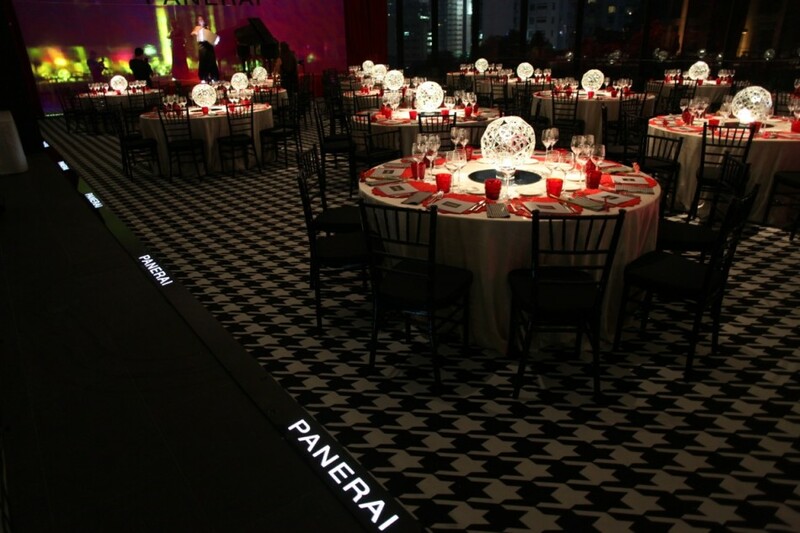 Commissioned by Officine Panerai Moritz Waldemeyer has created dynamic light pieces for a recent event in Hong Kong. Referencing the most important and recognised hardware of a watch, the cog, Studio Waldemeyer have reimagined it into a series of centre pieces and feature curtains for the event. 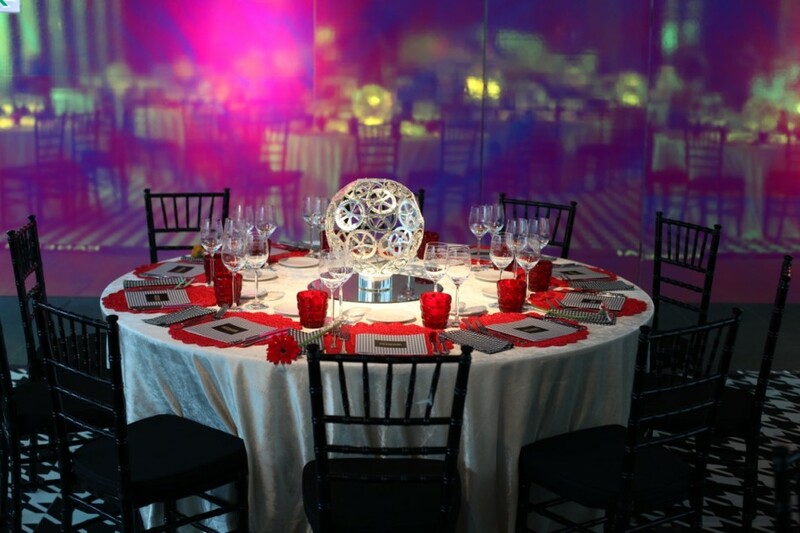 Each table at the event was adorned by a spherical centre piece. 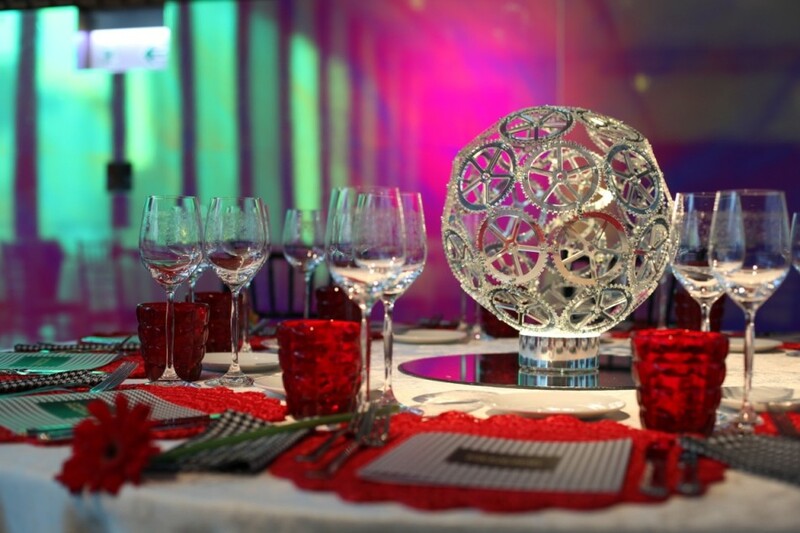 The spheres are compiled of multiple laser cut cogs, fitted together in sequence to create the globe like shape. A feature curtain was also produced for the entrance to the event. 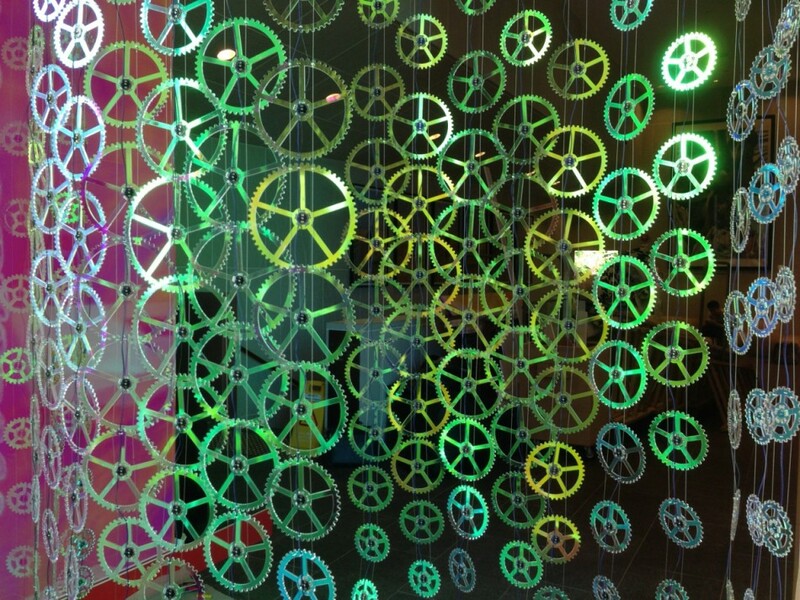 Cogs coated in iridescent film in varied sizes hang in two rows with a slight curvature. The varied sizes create a dramatic effect with the outer edges of the curtain holding smaller pieces with generous spacing and graduating to oversized pieces gathered in close proximity to each other. This entry was posted on Thursday, March 12th, 2015 at 12:09 pm. 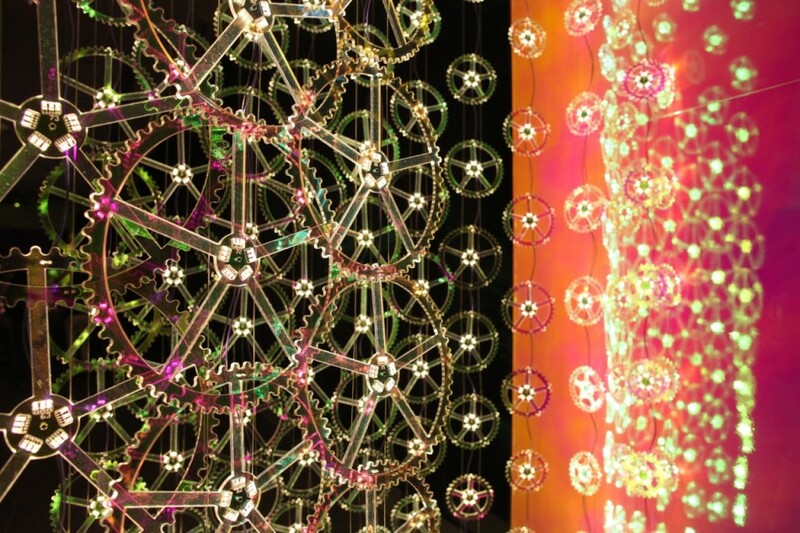 It is filed under ALL PROJECTS, LIGHT DESIGN, PRODUCT DESIGN, Uncategorized. You can follow any responses to this entry through the RSS 2.0 feed.